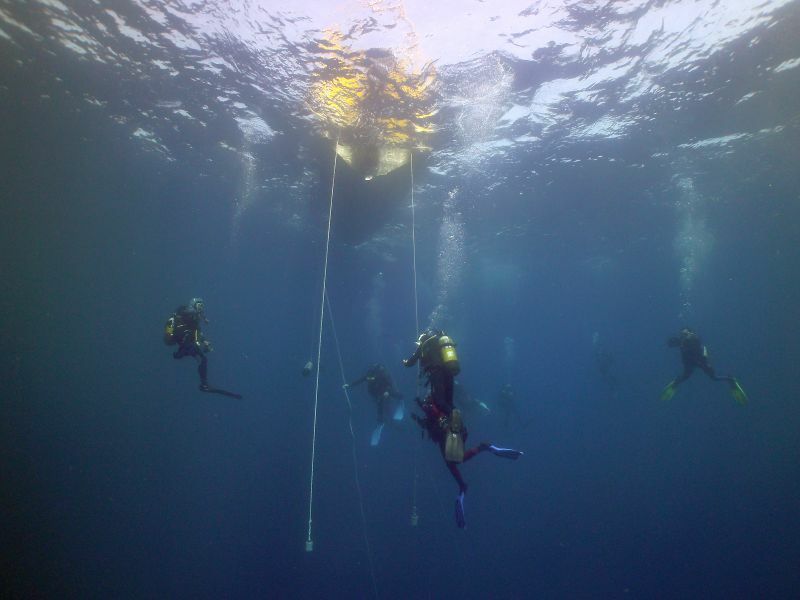 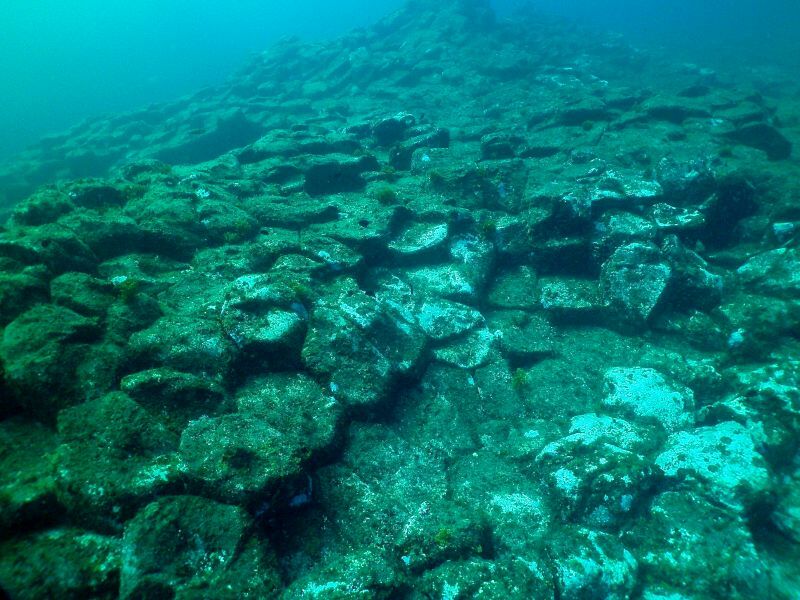 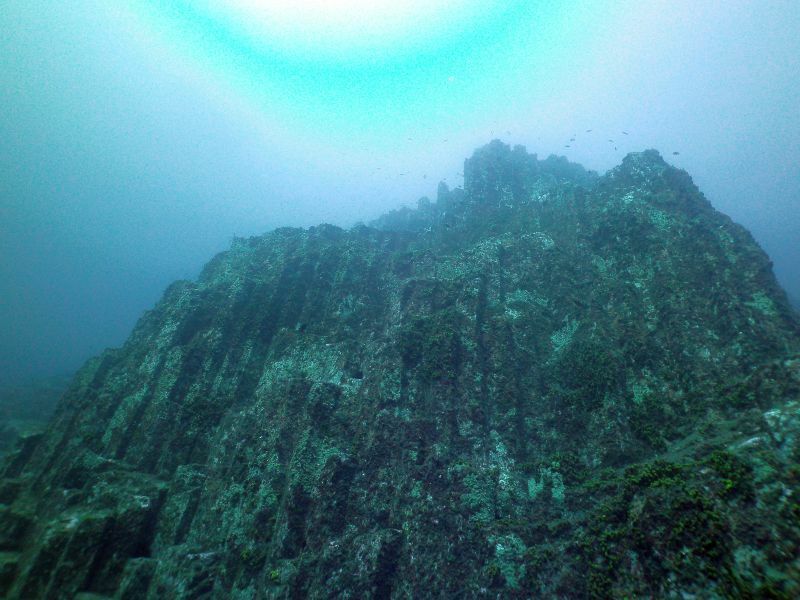 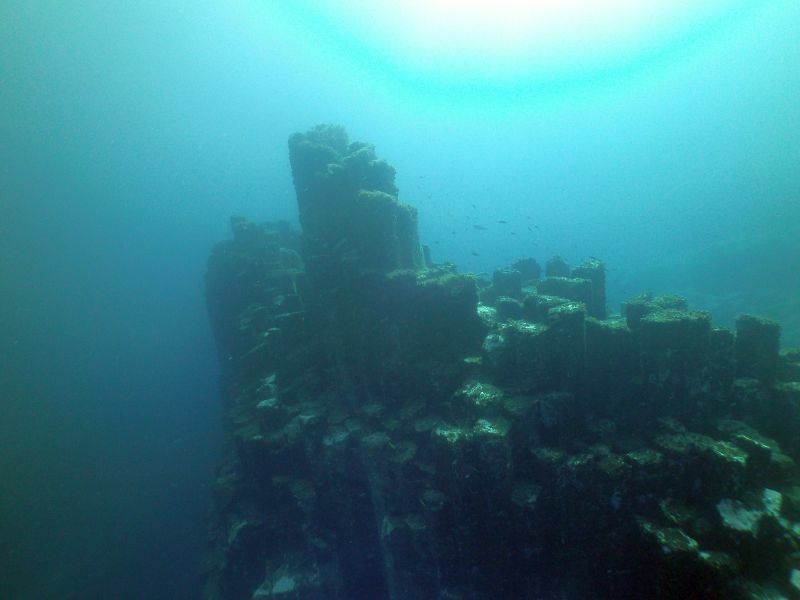 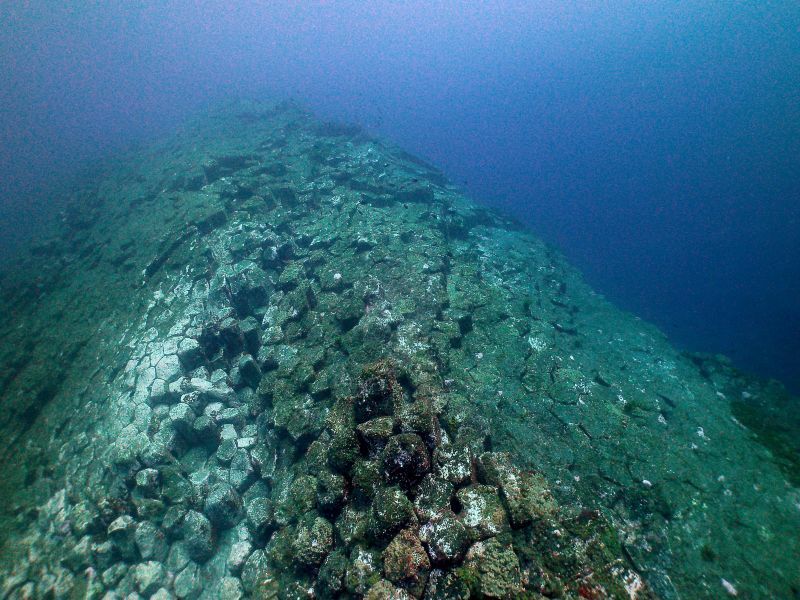 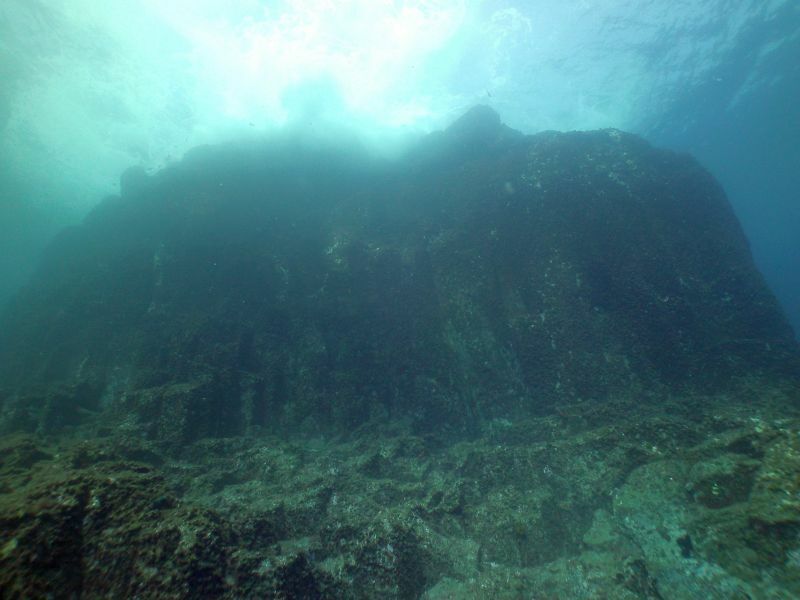 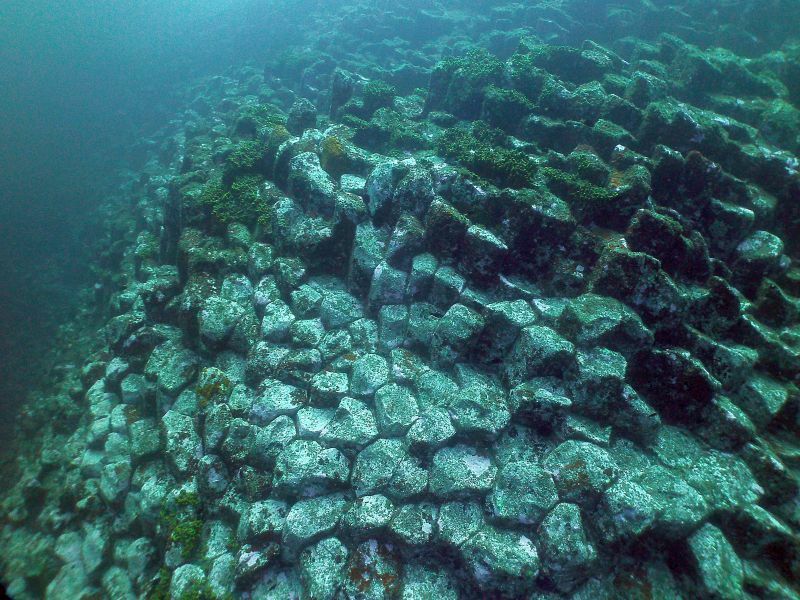 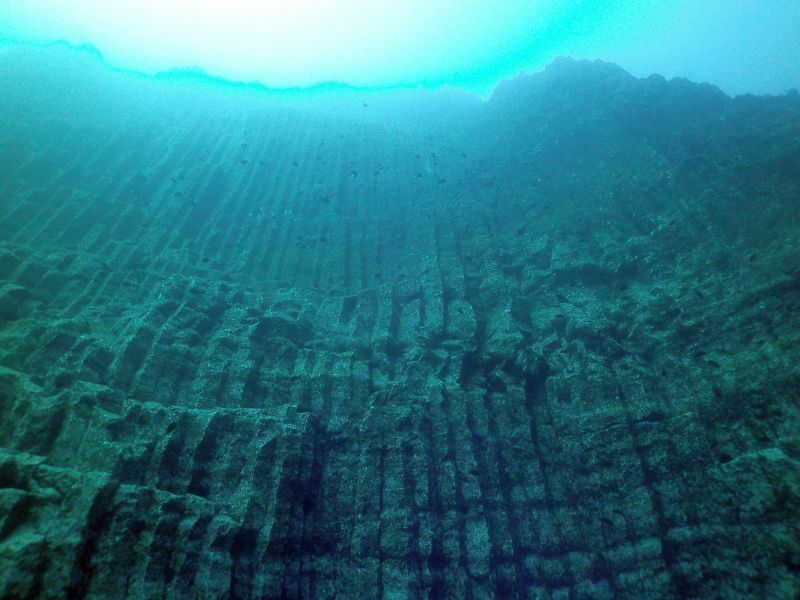 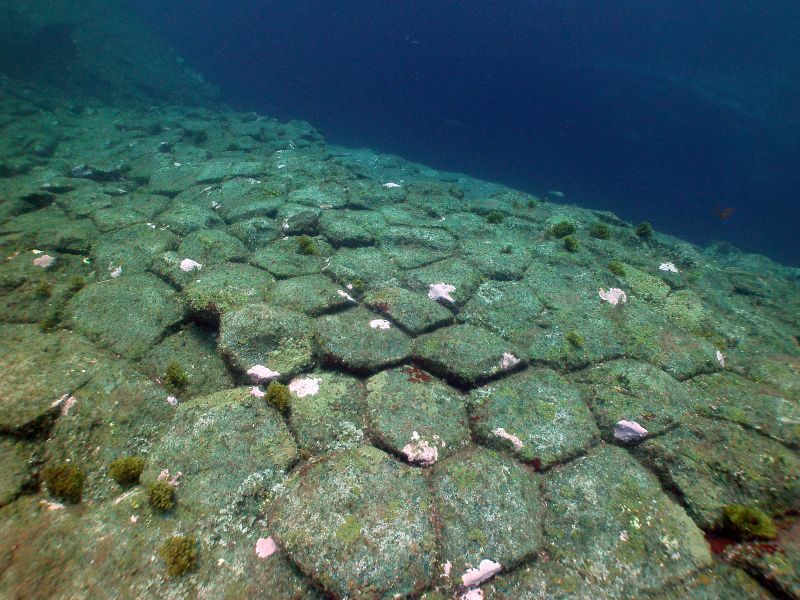 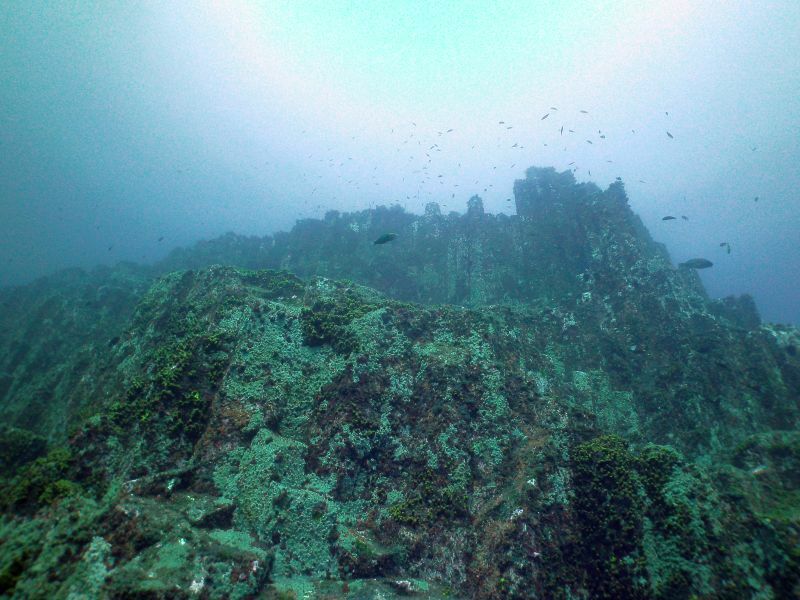 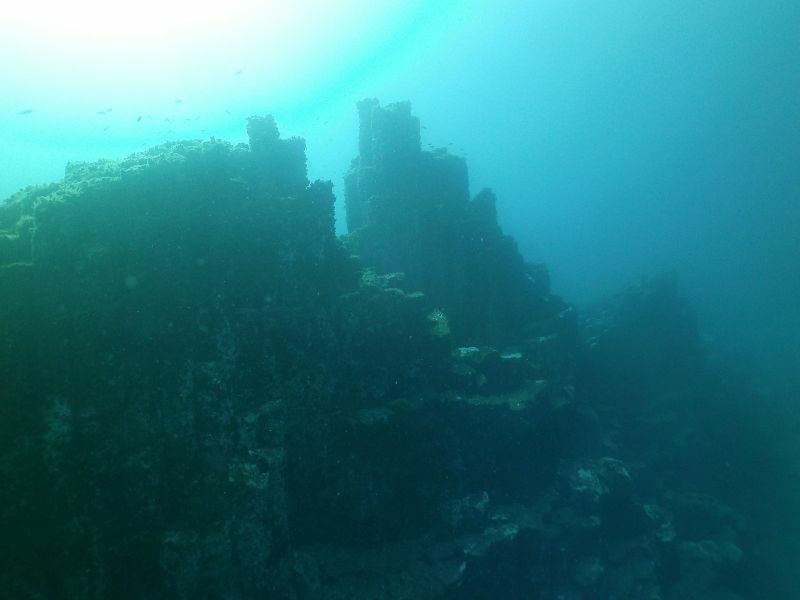 This reef is located close to the coastline and presents the typical volcanic basalt formations of hexagonal columns an dropoffs. 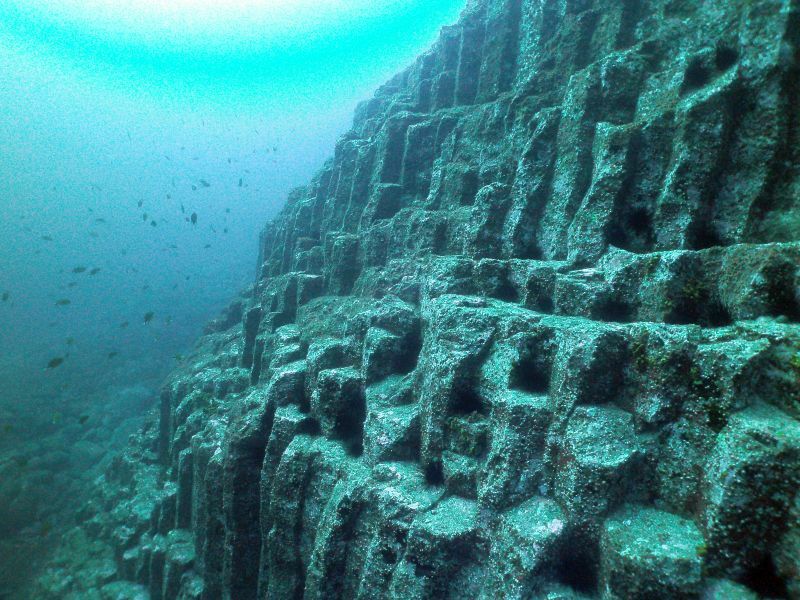 The huge dropoff formed completely by hexagonal basalt columns is just impressive. 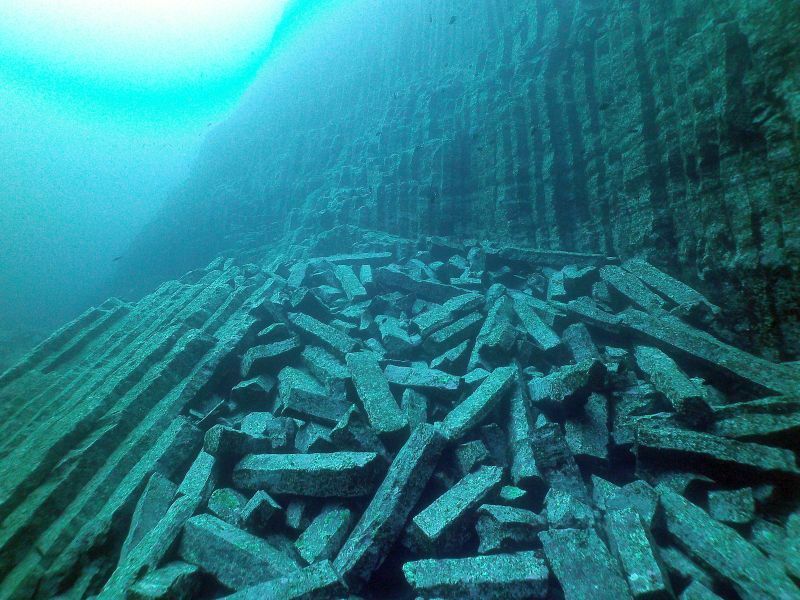 In the lower part you may encounter hundreds of broken basalt columns. 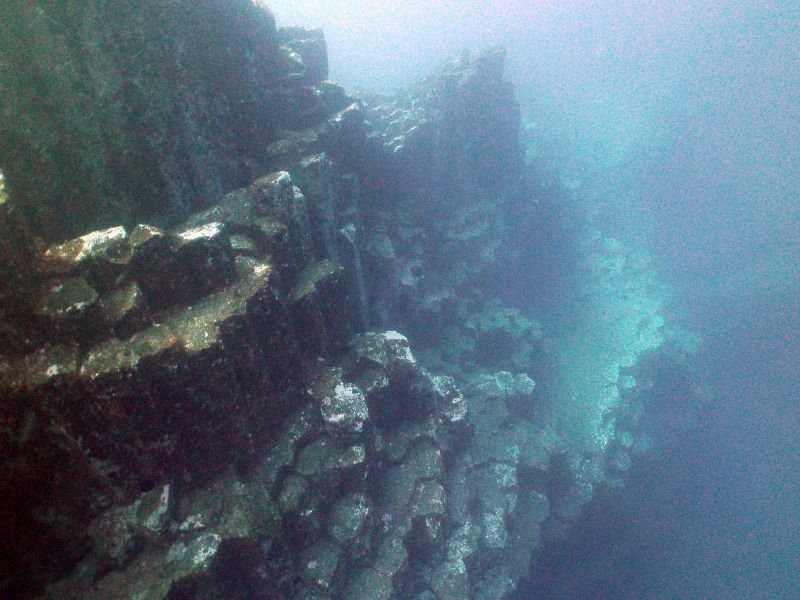 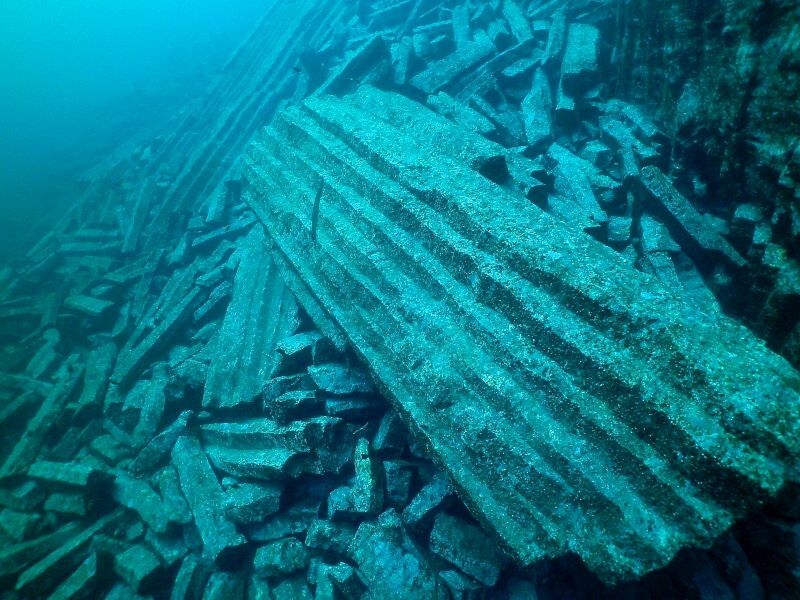 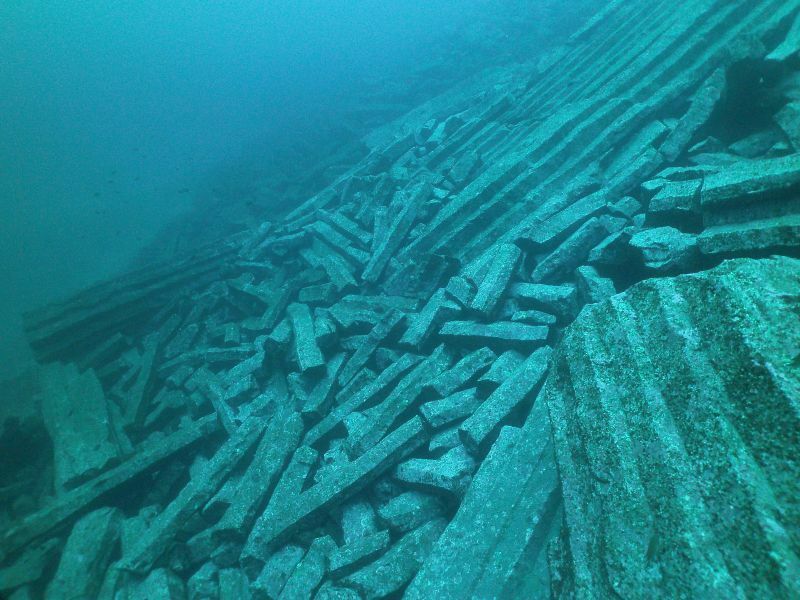 This appears to be the leftovers of the walls of Atlantis with columns, stairs, and walls. 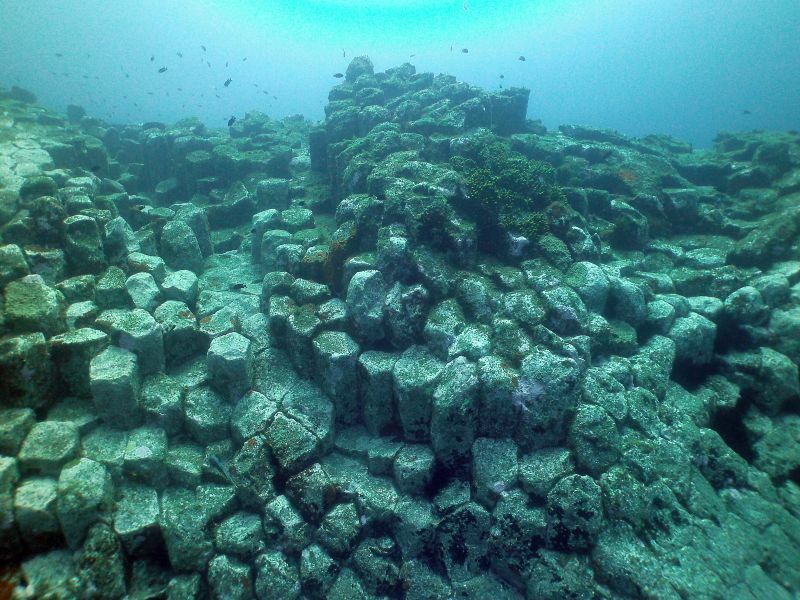 But it all was formed by the volcanic activity of Tenerife and it is astonishing how nature itself was able to form all this that makes you feel visiting a abandoned construction site.